Hey, guys. This is Masa back from Pyjama Bosses TV, and in today’s episode, we’re going to talk about online versus offline network marketing, the million dollar question. 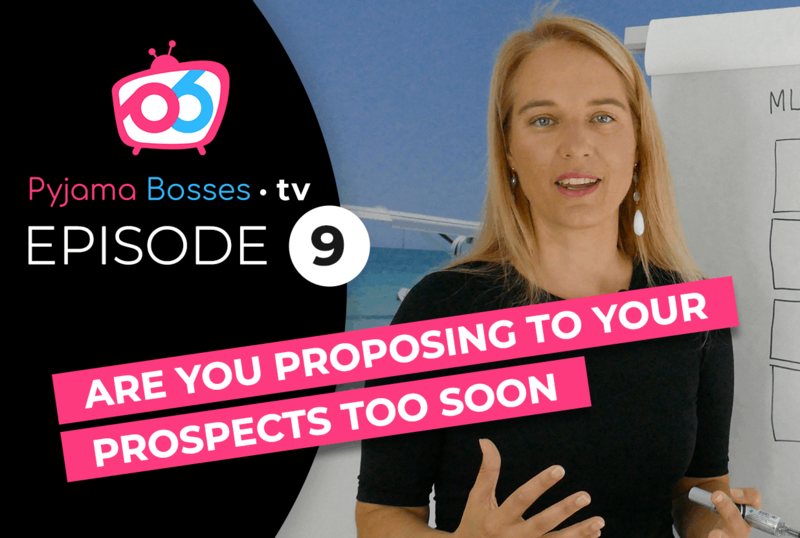 If you’re wondering whether you should do your business completely offline or completely online or what really is the solution for you to creating six figures and beyond in network marketing today in the fastest way possible, then this episode is for you. So come with me, and let’s get started. Hey, guys. It’s Masa back from Pyjama Bosses TV, and in this episode, we’re going to talk about online versus offline network marketing. Does offline really still work, and are events even alive anymore? You’re probably wondering, “What sort of online network marketing should I be doing? Where should I be using it?” That is the million dollar question. In fact, we often talk to leaders who either come to us and are doing completely offline strategies for their network marketing business, and perhaps sometimes we get leaders come to us, and they’re in completely online strategies in their network marketing business. The first thing I want to make clear is what we’re actually talking about. When we talk about online network marketing and offline network marketing, are we actually talking about the same thing? Because network marketing as a business is massive, and there’s so many different processes and steps in network marketing that we should be thinking about. One of them is lead generation. When we talk about lead generation, quite often online versus offline strategies are talked about and discussed. But let’s be clear. For you to create a six-figure business, you’re not just going to be lead generating and recruiting. Recruiting is one small part of network marketing. If you want to create massive results, you’re going to focus on creating massive duplication and momentum in your business. If your end goal is to have a worldwide business with hundreds of thousands of team members and customers, then probably you really need to put a focus on creating a system and actually creating a business that depends on that system by creating massive duplication. Really what I want to share with you is that in today’s world we should not go into the extreme of each. Which one is better, online or offline? Now I want to make it clear. Still today there is people in network marketing that are doing almost completely offline strategies for lead generation, team-building, presentations, everything offline, and they’re creating massive results. I’ve met them. I know them personally. They’re creating six and seven figures up, and that’s absolutely awesome. I also know leaders in network marketing that are doing primarily everything online, and that’s working for them as well. Ultimately the choice is going to be yours. But one thing that I want you to understand is that certain parts of network marketing have advantages for long-term residual income if you’re doing them online versus offline. So you need to actually know how to pick and choose what in network marketing should be done online and what offline. There’s so many choices, and that’s often the reason that leaders so they get so confused. Are you one of those leaders who would just like to take massive action, just know you’re on the right path? Well, then you really have to make a choice. In some of the other episodes I’ve already talked about how important it is to pick your path so that your team can honestly follow and create duplication. But let’s get back to online and offline and let’s now answer where online and where offline strategies in our network marketing business are better to create massive duplication and your six and seven figure residual incomes. In terms of online strategies we need to consider really lead generation. Lead generation today, of course lead generation online has so many more advantages over offline. It is much faster. It can be automated. There’s so many more people that we can reach so much faster. So when we talk about lead generation, I would definitely point you in the direction of online strategies. Does that make sense? Now when we talk about for example about giving information or presenting the business, presenting the business, then of course you’re going to want to perhaps consider online strategies to create tools, but at the same time you’re going to want to think about offline strategies to create culture in the team. I think right here already we’re starting to combine strategies so that you can have long-term, maximum stickability of your team, loyalty, you create culture. For example, one thing that you could consider is once a month have a big presentation in every major area where you have a team. And that presentation could be followed on by a monthly training. That is much more than just a place where you give people information. It’s actually a place where you create culture and when you train leaders. And yes, you can train leaders online, you can present online, but today people still go to concerts even though we’re all streaming Spotify on our phones. Does that make sense? There’s a point and a place of why you would be using offline events to do the information stage or the presentation stage. There’s so many layers of network marketing you want to be considering. What about leadership development? Leadership development is such an amazing process where we create more leaders in our business in order to have more leverage so that we can grow our businesses faster. And some major thing when we talk about duplication. There is parts of leadership development that you do online and parts that you do offline. For example, I certainly would advise you to have an automated leadership development platform which means you actually have recorded training that delivers the right type of information at the right time of someone’s career in network marketing so that they can actually get the basics covered. But you know what? Quite often you cannot communicate things online when things are automated. It’s even hard to actually influence people sometimes online in a big groups in a big webinar. One to a thousand people you can communicate things, but sometimes you cannot really influence people. In another video of Pyjama Bosses TV I talked about influence and actually inspiration, how different they are and how you can use them in your leadership creation. Again, in leadership development make sure that you understand certain strategies in the offline world where it’s going to be extremely powerful for you to combine the two worlds, online and offline. The core thing of everything here is of course to create duplication, very important if your focus is on duplication. So whatever you’re doing in your network marketing business, make sure that you consider the fact that it’s so important that you’re choosing strategy based on what is going to duplicate, not what is going to work for you. I see leaders all the time who are great promoters, who recruit literally hundreds and hundreds of people. But you know what? Because they can’t duplicate, because their teams cannot do what they do, this is actually not the best choice. Perhaps the choice you’re making whether you’re doing certain processes in your business, online and offline, should be considered and should be asked, is this going to duplicate? Can a brand new team member that gets into my team today or tomorrow 20 levels deep inside my organisation actually duplicate, actually do what I do? Not only that. Is what I’m doing going to create a structure, a culture in a long-term infrastructure for an organisation of hundreds of thousands of leaders around the world so that we have the culture, the loyalty, the longevity in our business? Think about those things. There’s certain advantages in the online world. There’s certain advantages in the offline world. Online has the speed and automation. Offline world has often the personal connection, and we cannot actually replace that. It is such a vital and important part in network marketing and we should really consider that this is one of the major reasons that we’re able to create massive incomes in our network marketing business when we’re creating the right relationship. We often teach leaders that work with us in our private coaching programmes such as the inner circle, we often tell them that the longevity of their income will depend on the quality of their relationships that they create with their leadership. I want you to consider this very, very carefully. And if you want to learn more how to create a team system, if you want to know more how to scale your business from zero to six figures or even six to seven figures, then go ahead right now and watch the training below which talks about the bullet proof method for creating massive duplication in your team. Until next episode this is Masa from Pyjama Bosses TV and let’s have fun again soon together. Bye for now.